Everyone at the farm is in love with this guy!! Super handsome, incredibly sensible, well behaved and kind, he will steal your heart with his sleepy eyes and quiet confidence. He is just an all around awesome horse and will make one lucky person their horse of a lifetime! "Oscar" has some rehab time to finish up but once he has, will likely make an exciting partner in any flatwork discipline. 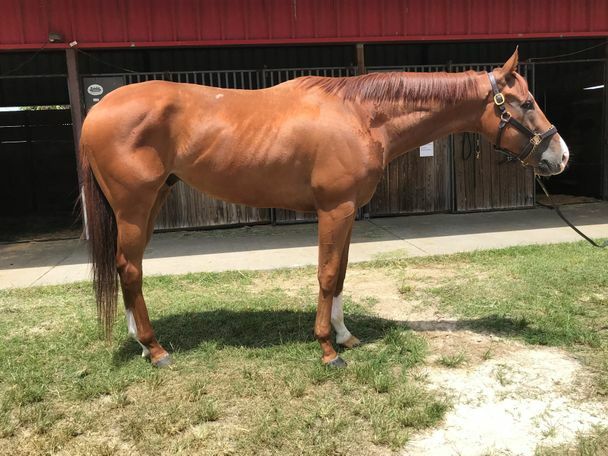 For more information on this horse or any of our horses at Florida TRAC please visit fltrac.org and fill out an adoption application so we can better get to know you and find the right horse for you.